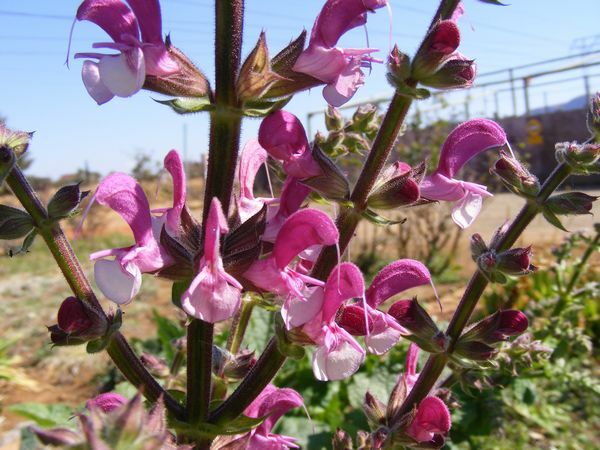 Jerusalem sage is a rare variety of sage that is native to the eastern Mediterranean. It grows in Cyprus, Israel, Jordan, Lebanon, Syria and the West Bank. Jerusalem sage is a herbaceous perennial that forms a 60 cm wide mound of basal leaves and it can grow up to 60cm tall. Wine-red flowers are borne in whorls loosely spaced along the stems with 2-6 flowers per whorl. The leaves, stems and floral bracts are covered with small hairs and the stems and bracts are often a strongly tinged red. Jerusalem Sage needs full sun and is heat and drought tolerant. 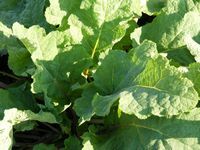 It is hardy to -12°C and prefers dryish soil. 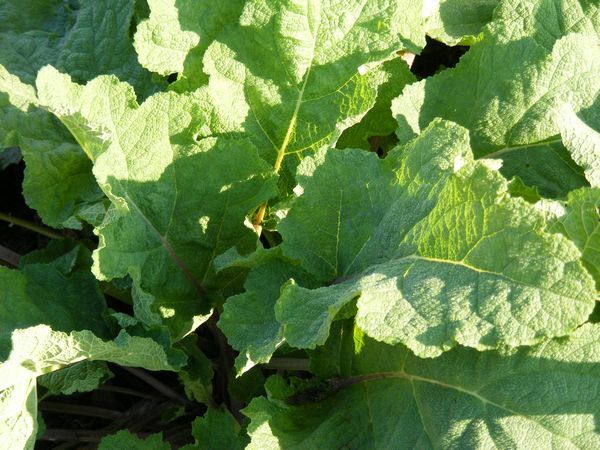 The leaves are used by Palestinian Arabs as a food wrapper similar to the way grape leaves are used. Though several sources state that Jerusalem sage has no known medicinal uses, recent studies suggest that the leaves have valuable topical anti-inflammatory properties.